We are very excited and honored to have received several awards at the 2015 North American Beer Awards! Gold Medal - for Brewhouse Blonde® in the category of Kolsch. Gold Medal - for Nit Wit® in the category of Belgian-Style Wit. Silver Medal - for Barrel Aged Tatonka® Stout in the category of Barrel-Aged Beer. Bronze Medal - for Barrel Aged Abbey Normal in the category of Barrel-Aged Beer. Gold Medal - BJ's Orange Cream Soda in the category of Carbonated Soft Drinks. We are very proud of our entire team! Seems like it's time to have a pint in celebration! 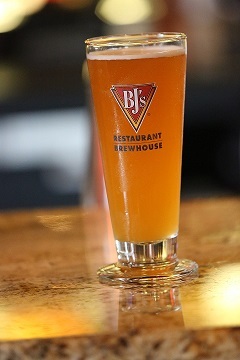 Next: Two Gold Medals for BJ's at the 2015 Great American Beer Festival!